On Friday, May 18, 2018, Commuter Connections and the Washington Area Bicyclist Association invite you to join more than 18,000 area commuters throughout Maryland, Washington DC, and Virginia for a celebration of bicycling as a clean, fun and healthy way to get to work. Registration is now open! 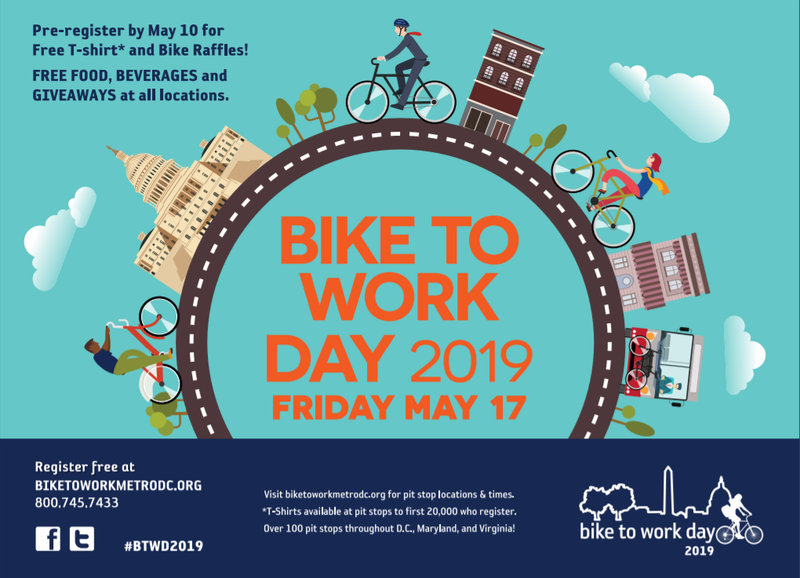 Have You Registered for Bike to Work Day? Comments Off on Have You Registered for Bike to Work Day? Bike to Work Day 2017 will take place on Friday, May 19th, 2017! 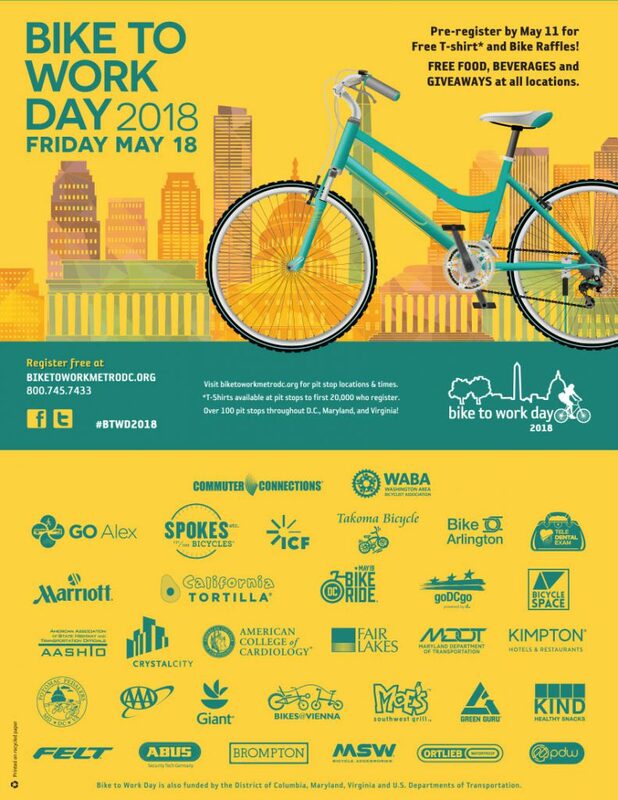 Bike to Work Day is May 19th! Join us at the Pike and Rose Pit Stop! Comments Off on Bike to Work Day is May 19th! Join us at the Pike and Rose Pit Stop! Make sure to register for the North Bethesda pit stop at the new location at Pike & Rose for Bike to Work Day! Bike to Work Day will welcome new and seasoned cyclists on Friday, May 19 from 6:30 am until 8:30 am. Friends of White Flint will be there, so join us at this exciting event for breakfast, great prizes provided by local businesses, and a chance to win a free bike! Since the Jewish holiday, Passover, falls on the next White Flint Sector Implementation Advisory Committee meeting date of Monday April 14th, there will be no Implementation Advisory Committee meeting this month. Saul Centers White Flint is going to the Montgomery County Planning Board on April 17.